Beyer Carpet Cleaning provides a variety of services including tile and grout cleaning and restoration. Tile and grout cleaning can be strenuous but Beyer Carpet Cleaning has all the proper equipment and employees to get the job done. From schools to residential to commercial tile and grout cleaning Beyer has done it all. Residential tile and grout cleaning is usually the easiest because it’s a small area to clean but regardless of the job every tile and grout cleaning is given the up most attention to detail. Our tile and grout cleaning will have your tile and grout looking like new. Never allow someone to use tools that are used for carpet cleaning to clean your tile. It is unprofessional and improper. Carpet cleaning tools should never be used. Our equipment is switched every time we clean carpet and tile. Beyer’s highly trained technicians will spray down an alkaline cleaner then scrub it in order to uplift any and all dirt, bacteria, germs, grease, and anything that may be in your grout. 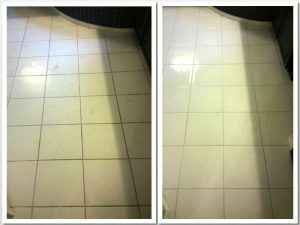 After the alkaline cleaner is put down and scrubbed then the technician will bring in a steam cleaner designed especially for tile and grout cleaning and restoration. The steam cleaner will pick up the alkaline and all the junk that was lifted up. Once the tech is done your tile and grout will look like new. Even tile and grout that hasn’t been cleaned in years will show improvement. Tile and grout cleaning San Antonio can become expensive but Beyer Carpet Cleaning tries to keep it’s prices as low as possible so you can get the most for your money. 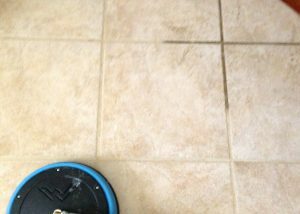 Tile and grout cleaners in San Antonio will cut corners by using carpet cleaning tools to clean your tile or not using the proper chemicals to give you a true tile and grout cleaning and restoration. Tile and grout cleaners will not always give you what you paid for but with Beyer Carpet Cleaning the customer always gets what they need and paid for. So give Beyer Carpet Cleaning San Antonio a call today for all your carpet cleaning, tile and grout cleaning and restoration, and upholstery cleaning.